Welcome to St. Pius X Seminary at Loras College! St. Pius X Seminary is associated with Loras College, Dubuque, Iowa, and operated under the auspices of the Archdiocese of Dubuque. The seminary provides a full undergraduate education and preparation for theological seminary. In addition, it provides a pre-theology program for participants who have already acquired a bachelor’s degree but do not have the academic and formation background required for admission to a theological seminary. Both programs follow the guidelines set out by the United States Conference of Catholic Bishops in its Program of Priestly Formation, 5th ed. (“PPF”). In the terminology of that document, St. Pius X Seminary is a collaborative diocesan seminary. must sign and give to the Rector a “Consent to Disclose” form giving permission for sharing with his bishop and vocation director any information or documents pertinent to his evaluation. Students enrolled at Loras may be admitted provisionally pending completion of these procedures. FOR SEMINARIANS WHO ARE COLLEGE FRESHMEN: they may engage in an off-campus service or ministry activity if they have the time and interest. FOR ALL OTHER SEMINARIANS: they participate in an approved pastoral activity of the Church (especially parish ministry) and prepare a ministry agreement with the on-site supervisor which describes the seminarian’s responsibilities. They also undergo evaluation by the on-site supervisor regarding the seminarian’s pastoral effectiveness and his areas of potential growth as a pastoral minister. FOR ALL SEMINARIANS: they participate in theological reflection sessions which help them integrate their spiritual lives, theological studies and ministerial experience.  They also participate in campus life organizations or perform other on-campus service. Loras College was founded in 1839 by Bishop Mathias Loras as St. Raphael Seminary. Later it became St. Bernard and in 1873 was moved to its present location as St. Joseph College. The college was renamed twice: Columbia College and eventually Loras College. As the college developed into a four-year liberal arts institution, the seminary program remained an integral part of its mission. 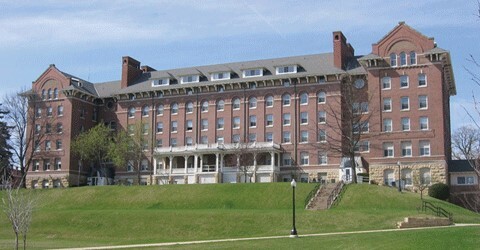 It was called either “the Loras College Seminary” or simply “the Seminary Department.” Seminarians were housed in the principal college residence, Keane Hall. In 1954, “North Hall” (later name Rohlman Hall) was opened as a residence for seminarians and the name “St. Pius X Seminary” was adopted. At that time the seminary was also canonically erected. Until 1960, various college officials were in charge of the seminary program but at that time a Rector, Vice-Rector and Spiritual Director were named. In 1973, due to declining seminarian numbers, Rohlman Hall was turned over to other uses and seminarians were housed in regular college dormitories as had been the case before 1954. St. Pius X thus became a “seminary without walls,” its students continuing to take part in all the necessary activities of priestly formation appropriate to their level but not residing together in a specific location. The seminary remained a canonical entity in spite of this unusual situation. In the fall of 1996, the seminary program was expanded to include a two-year formation period for pre-theology students—those seminarians who already have at least a bachelor’s degree but who lack the necessary undergraduate credits for theology (‘major seminary’) studies. A temporary residence for these students was established on the first floor of Smyth Hall. In the fall of 1997, an off-campus residence was established at nearby St. Anthony Parish. In 2003 this residence moved to its present location on Mt. Loretta Avenue, adjacent to the Archdiocesan Pastoral Center. Over the years, the seminary at Loras College has been instrumental in the education and formation of hundreds of priests for the dioceses of Iowa and surrounding states and counts over 30 bishops (living and deceased) among its alumni. Provide for spiritual growth through individual spiritual direction, the fostering of a life of prayer and active participation in sacramental life. Provide the opportunity for personal human growth and community life and psychological assessment and counseling if needed. Provide for undergraduates a liberal arts education leading to a bachelor’s degree and, for all seminarians, a sound foundation in the philosophical, theological and linguistic areas described in the PPF. Foster an understanding of the nature and forms of priestly ministry. Foster an understanding of the mission of the Church and loyalty to that mission. 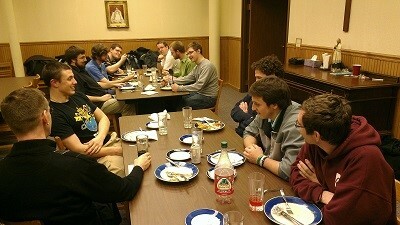 Foster a sense of mutual support and fraternal correction among the seminarians. Encourage appropriate opportunities for seminarians to work and interact socially with other college students. Promote pastoral formation through participation in ministries and service both on and off the campus. Provide an ongoing evaluation process to assist the seminarian in his continuing discernment and to assist his diocese in making decisions about advancement toward priesthood. Render assistance to those still in the process of discerning a possible call to priesthood. The Rector receives the required documents for admission from the candidate’s vocation office. See ADMISSION. Seminarians take part in the program of spiritual formation and the weekly formation meetings as described under HUMAN AND SPIRITUAL FORMATION. Regarding INTELLECTUAL FORMATION, undergraduates ordinarily require four years to obtain a bachelor’s degree and to fulfill the academic requirements for entry to major seminary. The program for pre-theology students normally takes two years. However, the requirements can be adapted to meet individual circumstances. 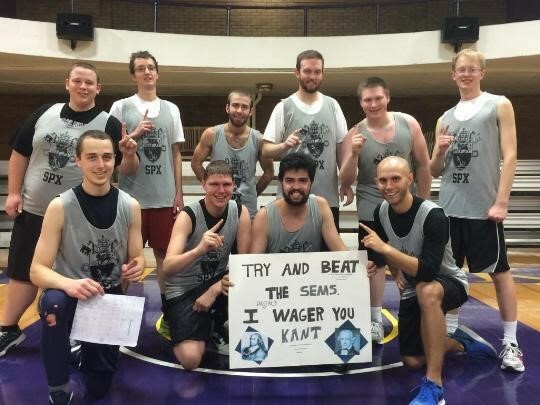 Seminarians participate in a ministry or service activity each semester as described under PASTORAL FORMATION. 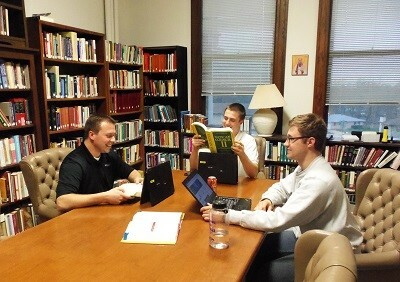 Seminarians participate in an annual evaluation process. Seminarians do not live together on the Loras campus, but instead reside together in Vianney House. The human and spiritual formation programs aims to help the seminarian reach a level of development that will enable him to participate successfully in priestly formation at the theologate level. In this process he is introduced to the Catholic heritage of prayer, devotion and spiritual practice. other devotional prayer (e.g. Stations of the Cross during Lent). The weekly formation conferences mentioned above cover subjects specified by the PPF in the general areas of prayer and the sacraments, human development, priesthood, vocational discernment, and other theological issues. As part of a preparation for living a celibate life, dating is not permitted for seminarians in the program. Central to the academic formation of all seminarians is the study of philosophy. The study of undergraduate theology is likewise essential, especially for those who lack adequate catechesis in the faith. If a degree-seeking student does not select philosophy as a major, he is encouraged to select a major other than religious studies. The major filed selected should have a strong liberal arts component. Specific degree requirements can be tailored to the needs of the individual seminarian and/or the needs of his diocese or religious institute. A student entering the seminary program after having completed an undergraduate degree (“pre-theologians”) normally will be enrolled as a “second degree” student at Loras. Seminarians live in the Vianney House residence. This experience of a seminary community plays a significant role in their human and spiritual growth. Such community living provides mutual support, promotes forbearance and fraternal correction, and provides an opportunity for the development of leadership and talents. Furthermore, the community of prayer provides spiritual support for the seminarians as they continue to discern their vocation to the priesthood. a general report of the Director of Spiritual Formation attesting to the seminarian’s fulfillment of the requirements of the spiritual and pastoral formation components of the program. Once the evaluation is composed by the Rector, the seminarian has an opportunity to review it. He then makes an appointment to meet with the Rector to discuss it. The Rector may revise the evaluation based on these discussions. The seminarian signs the completed evaluation which is then sent to his bishop and vocation director. The Rector is appointed by the Archbishop of Dubuque. He has responsibility for overseeing the entire seminary formation program. He also monitors the seminarians’ progress in the four areas of formation and oversees the annual evaluation process. The Director of Spiritual Formation is appointed by the Archbishop of Dubuque. His primary responsibility is to assist the rector by coordinating the entire spiritual formation program of the seminary. He makes provision for individual spiritual directors of the seminarians, directs the liturgical life of the seminary community and is responsible for days of recollection and the required annual retreat. He also supervises the pastoral ministry program of the seminary. Jean-Baptiste Marie Vianney was born in 1786 at Dardilly, near Lyons, France, and felt called to the priesthood from an early age. His education and training were interrupted by his conscription in the army (from which he deserted) and again considerably lengthened by his inability to learn Latin. After he was finally ordained in 1815, he was for three years assistant priest at Ecully, and then appointed in February 1818 to be pastor at Ars. In this remote village he achieved almost worldwide fame. Many people came to seek his counsel first from neighboring parishes, then from all of France, and finally from other countries. 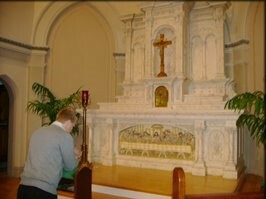 By 1855 the number of his visitors was computed at 20,000 per year, and during his last years he spent 16 to 18 hours a day in the confessional. He was beatified in 1905, canonized in 1925, and in 1929 was named the patron saint of parish priests. His feast day is August 4. 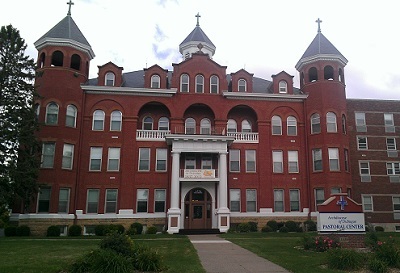 Vianney House, the residence of St. Pius X Seminary, was established under the patronage of St. John Vianney in 1997 and is intended as a prayerful place of residence for seminarians while pursuing their studies at Loras College. It is located at 1235 Mt. Loretta Avenue in Dubuque, just over a one mile from the Loras campus. If you have a question, you’re not alone. and our amazing admission staff will assist you.